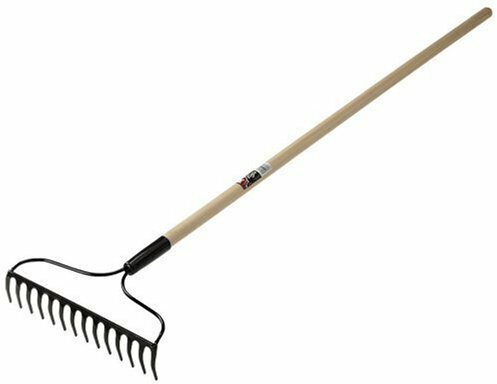 LAWN & LEAF RAKE HANDLE 15/16" diameter, 2-1/2" chuck to 5/8" Selected American ash & other hardwoods- with a clear finish Provides excellent service & value Grade #21 for frequent & heavy-duty use 22-351 51 IN. 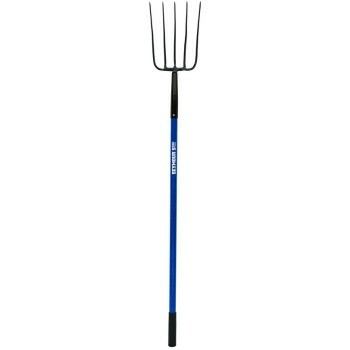 LAWN RAKE HANDLE LENGTH:51"
Why should you consider this product? 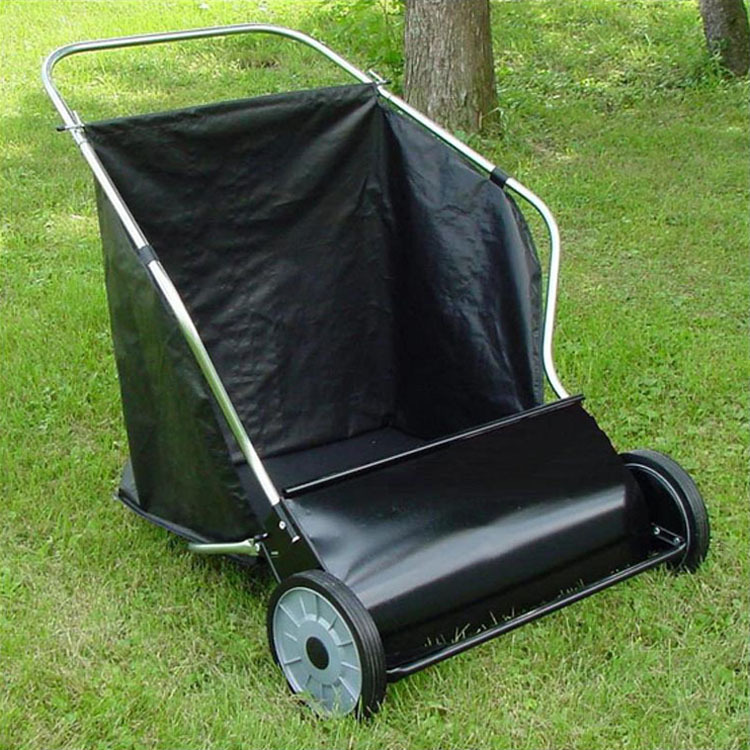 This is the only 26" Push Lawnsweeper manufactured in the United States that has rear casters for easy maneuverability! 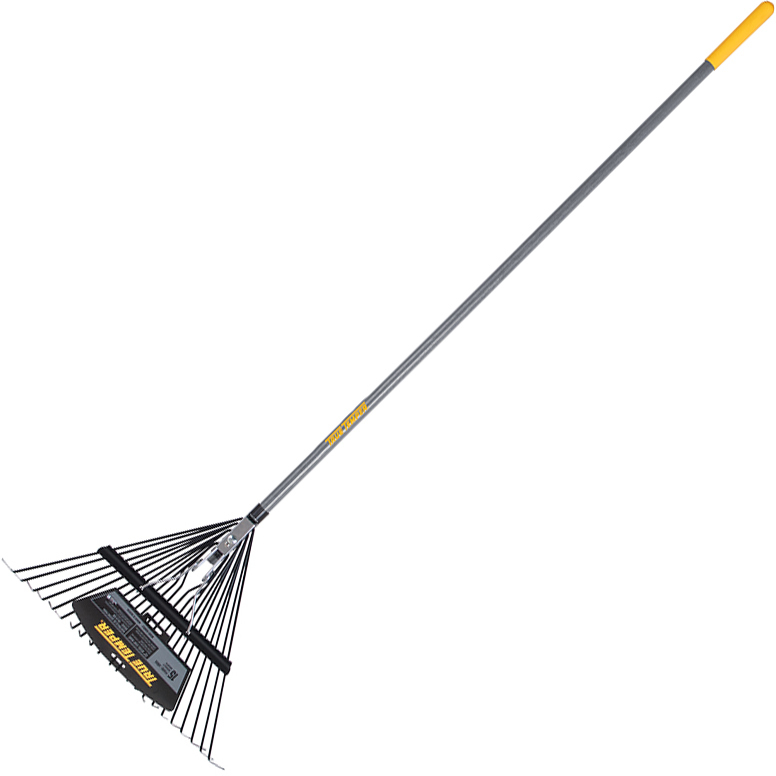 Mid West Products Lawnsweepers take the drudgery out of yard work ... Sweepers make raking obsolete! A lawnsweeper makes outside work a lot easier and much less time consuming. In the Spring, all the Debris that Accumulates over the Winter can be Removed in Short Order. Stones, Dead Grass, Twigs, Sticks, Paper, Leaves ... and in one-tenth the time required for raking. Summer uses include sweeping up grass clippings and weed seeds ... Sweep before mowing to remove bones and other objects harmful to your mower-and to straighten the grass blades for clean, even mowing-you'll have a healthier, better looking lawn. 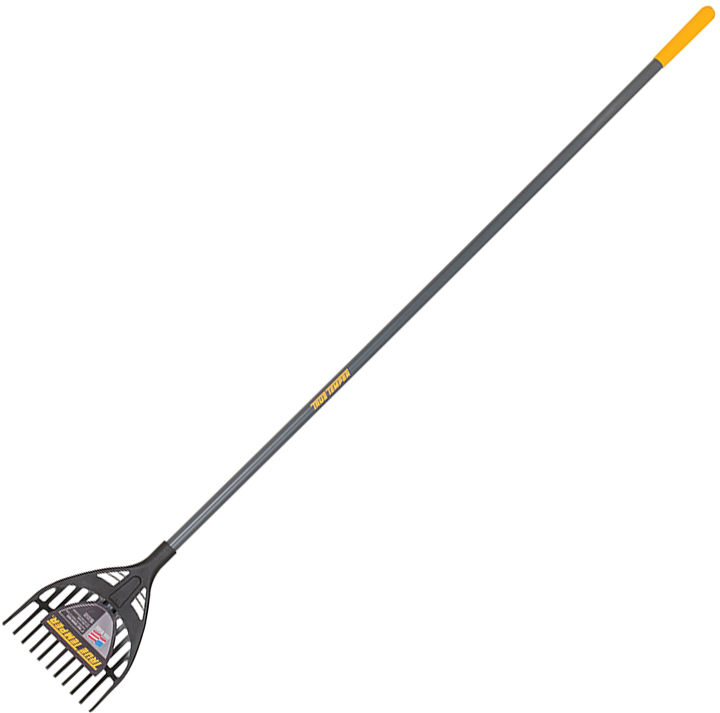 In the Fall, a Lawnsweeper ... Sweeps Leaves in a Fraction of the Time needed for raking ... (and it does a better job!) ... Giving you lawn that "company's coming" look! 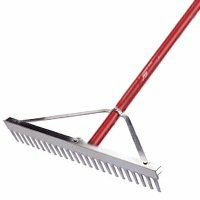 Use your Mid West Products Lawnsweeper the Year Round to Clean Patios, Driveways and Sidewalks ... even Whisk Away Light Snows in Midwinter! Yes, There is a Reason Every Season for a Mid West Lawnsweeper! Only 4 Bolts to Assemble! 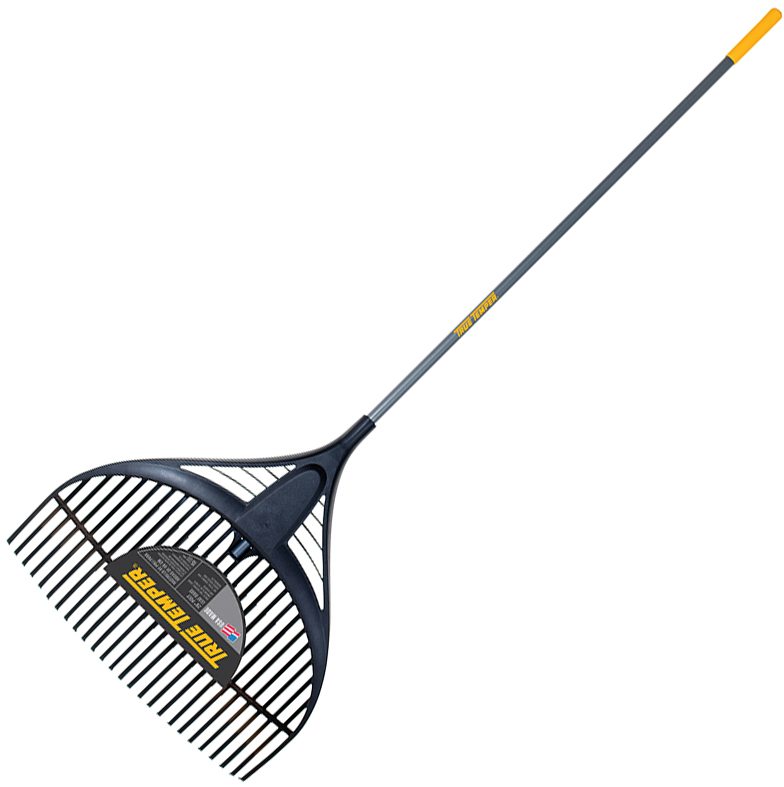 Made From High-Strength Steel Tube and Durable Steel Brush Shield with Rust-Resistant Baked on Black Powder Coat. The Butterfly Handles Increase the Hamper Capacity to a Huge 6.5 Bushel. 10" Precision Molded Plastic Wheels with Ribbed Tread Rubber Tire. Rear Swivel Casters for Easier Maneuvering. One-Hand "Squeeze Me" Height Adjustment. Removable Hamper for Easy Dumping. Optional Baler for Increased Capacity. 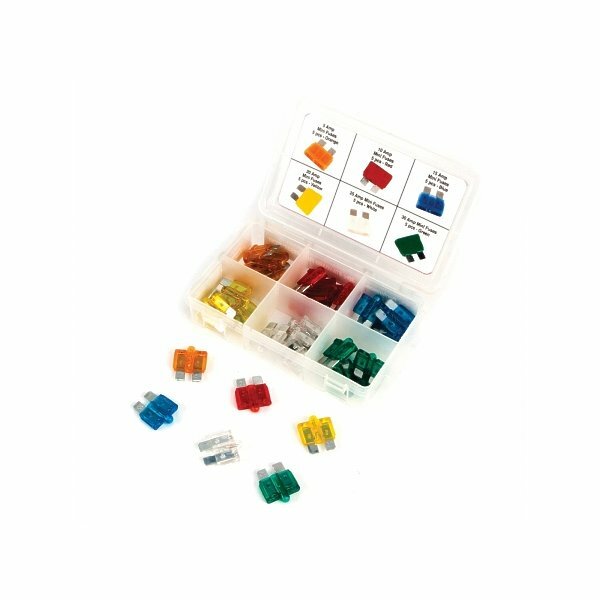 Why should you consider this product? 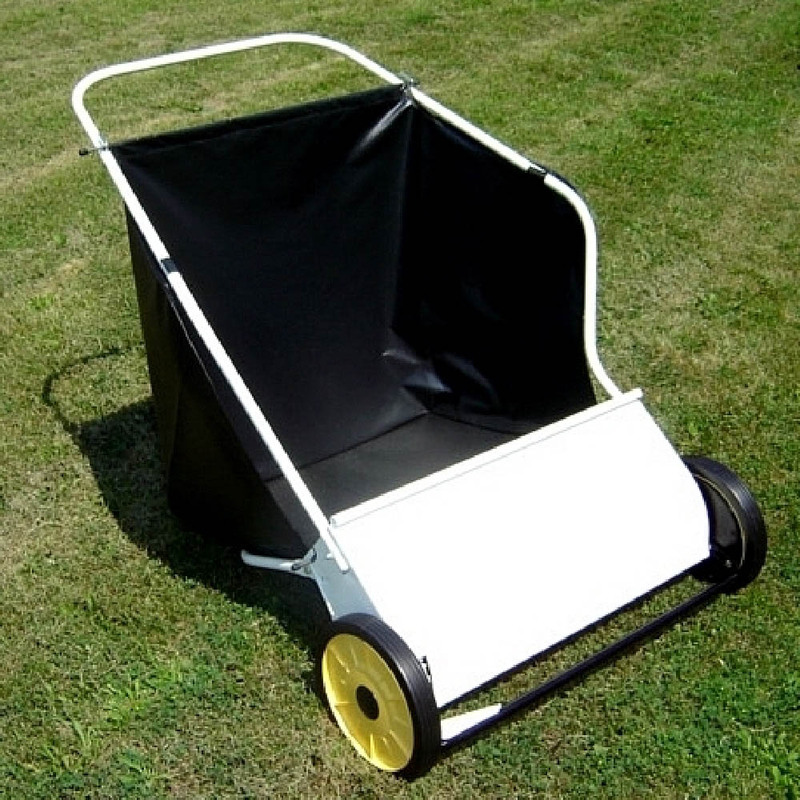 This is the only 31" Push Lawn Sweeper manufactured in the United States available for the marketplace today! 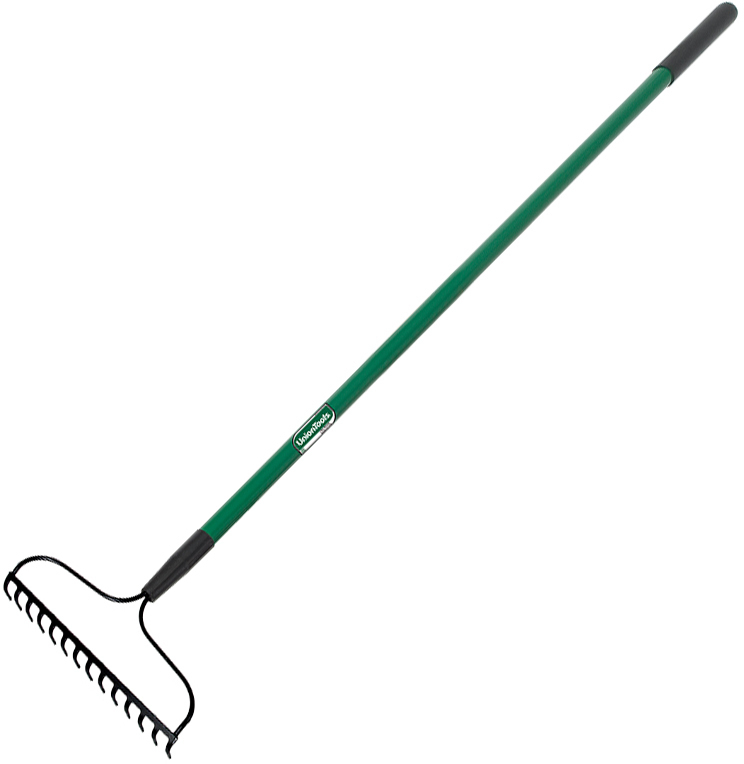 Mid West Products Lawn Sweepers take the drudgery out of yard work ... Sweepers make raking obsolete! Our Lawn Sweeper makes outside work a lot easier and much less time consuming. In the Spring, all the Debris that Accumulates over the Winter can be Removed in Short Order. Stones, Dead Grass, Twigs, Sticks, Paper, Leaves ... and in one-tenth the time required for raking. Summer uses include sweeping up grass clippings and weed seeds ... Sweep before mowing to remove bones and other objects harmful to your mower, and nearby people and pets as well - and to straighten the grass blades for clean, even mowing - you'll have a healthier, better looking lawn. In the Fall, our Lawn Sweeper ... Sweeps Leaves in a Fraction of the Time needed for raking ... (and it does a better job!) ... Giving you lawn that "company's coming" look! 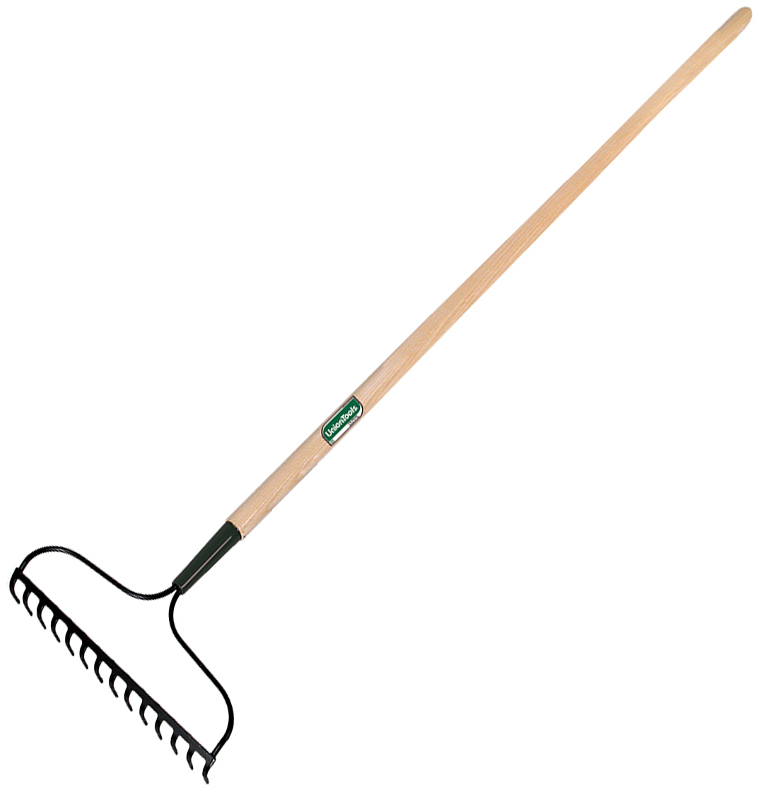 Use your Mid West Products Lawn Sweeper the Year Round to Clean Patios, Driveways and Sidewalks ... even Whisk Away Light Snows in Midwinter! Yes, There is a Reason Every Season for a Mid West Products Lawn Sweeper! Now you can Enjoy the beauty of a Well-Groomed Lawn without suffering the Time-Draining Drudgery of Raking the Lawn. Introduce yourself to all the Advantages that this Rugged Sweeper Offers both You and Your Lawn. With its Large Capacity or by Adding a Baler for Additional Capacity! You'll be Saving so Much Time and Energy that you'll Feel Like you Moved from the Stone Age into the Space Age - in One Jump! Made From High-Strength Steel Tube and Durable Steel Brush Shield. Rust-Resistant Baked on Black Powder Coat. The Butterfly Handles Increase the Hamper Capacity to a Huge 8.1 Bushel. Optional Baler for Increased Hamper Capacity. DETHATCHER BLADE KIT Fits most rotary lawnmowers Sizing washers: 3/8", 7/16", 5/8" and 13/16" Springs included 330100 POWER RAKE BLADE SIZE:16"
For those who want the best! Now you can Enjoy the Beauty of a Well-Groomed Lawn that only a Mid West Products Lawnsweeper can give. Introduce yourself to all the Advantages that this Rugged Sweeper offers both You and Your Lawn. 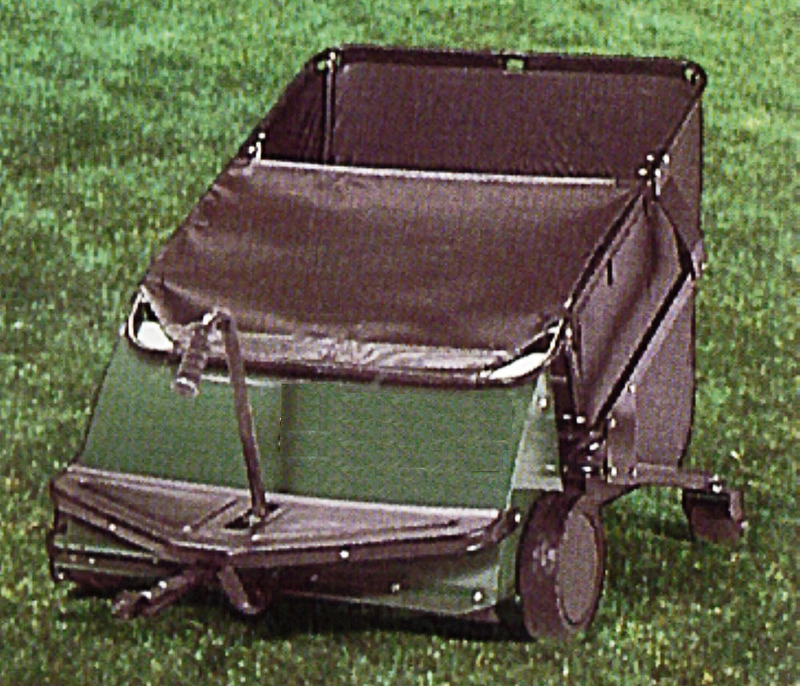 Mid West Products Lawnsweepers Quickly Sweep Up Litter, Twigs, Grass, Leaves, and even Stones. During winter, they Brush Light Snows from Sidewalks. If you want to give your Lawn the Perfect Cut, many experts suggest you Sweep your Lawn Before Giving it a Trim. Your Grass will Stand Straighter, for a Much Smoother and more Even Cut. There is one thing of which you can be sure, you will be Saving so Much Time and Energy, that you will feel like you moved from the Stone Age to the Space Age - in One Jump! This Lawnsweeper is FIELD TESTED for COMMERCIAL USE. 5 to 1 Brush-TO-Wheel Gear Ratio provides a Positive Drive System and Greater Material Composition. Exclusive Rear Dump System operates from Your Riding Mower or Tractor Seat. 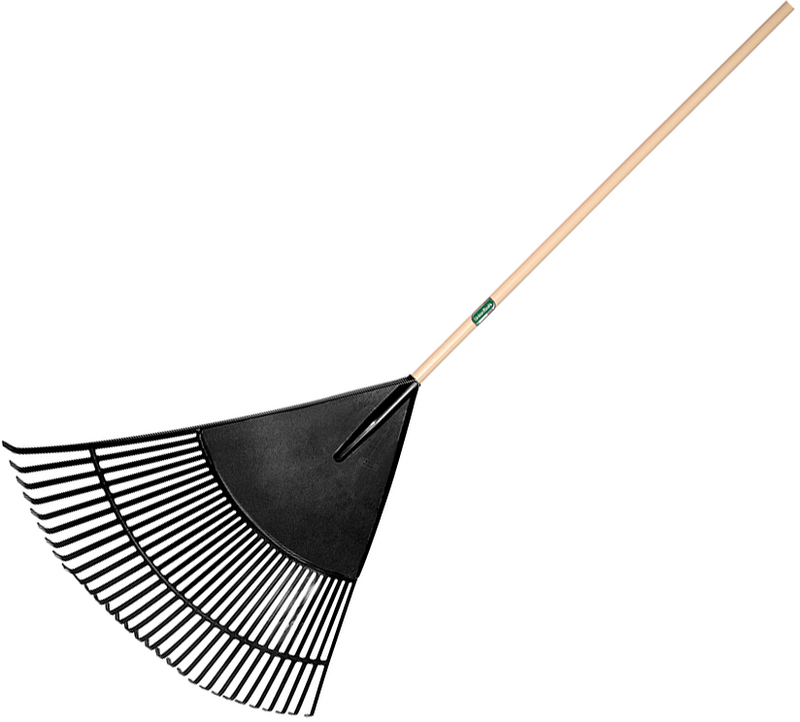 Full-Fill, spiral brushes provide Smooth, Easy Sweeping Action and Hamper Fill. Differential Brush Drive System provides Excellent Debris Pickup During Turning. Extra-long hitch constructed of Heavy-Gauge Square and Rectangular Tubing for Rugged Use and Sharp Turning Radius. Heavy-duty, 12 Gauge Steel Front Shield. Seven Brush-Height Setting - from just below the Grade Level to 2" inches Above Grade - Ensure the Right Sweeping Height for Every Condition. Hamper and Frame Fold to a Vertical Position for Quick and Easy Storage. Rust-Proof, Durable Vinyl Hamper has High-Density Polyethylene Bottom Panel. Rust-Proof, Precision Die Cast Aluminum Wheels with Easy-Access Grease Zerks. Overall Dimensions: 70" L X 45" W X 40" H Note: This item ships freight and is delivered pre-assembled on a pallet. Note: Shown with Optional Hitch Cover (not included). 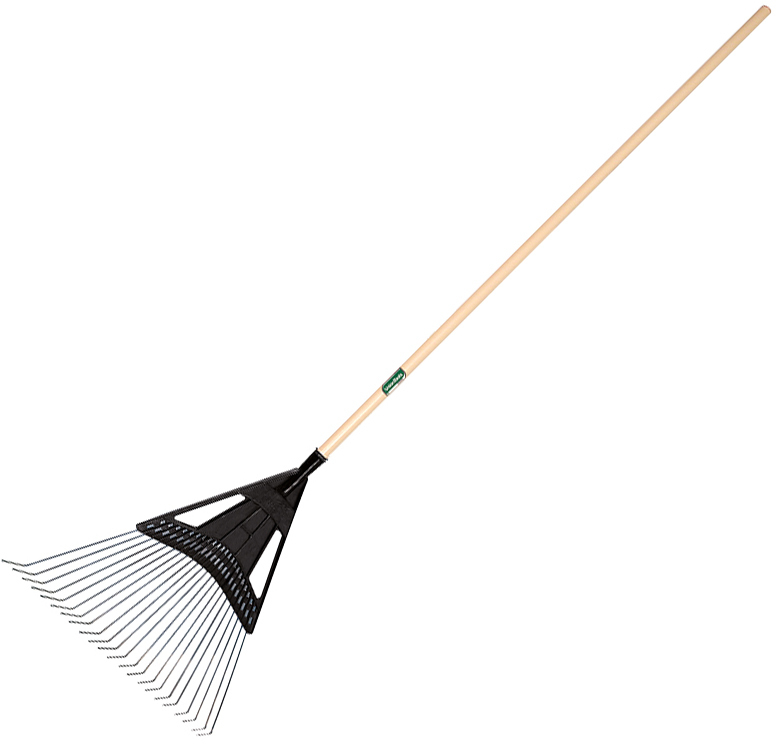 Save time this Spring Sweeping those Leaves and Twigs instead of raking! Ideal for the Medium to Large Lawn! 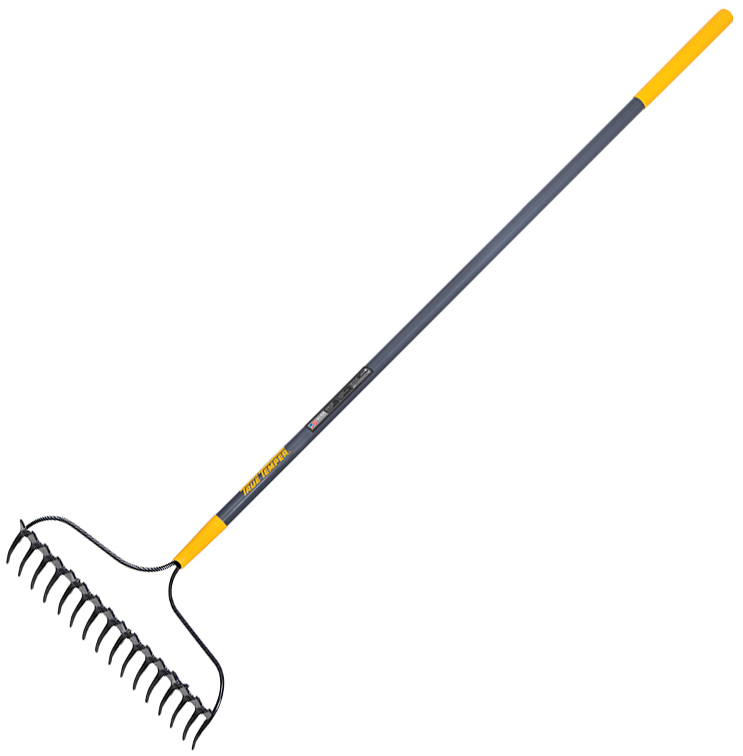 Quicker and Easier Than Traditional, Back Breaking Hand Raking. Cleans your Yard in a fraction of the Time. Our Lawnsweeper has a Centered Pull Cord for Rear Dumping from the Tractor Seat. This unit will Pick Up Litter, Debris, Twigs, Grass, Leaves, and More. 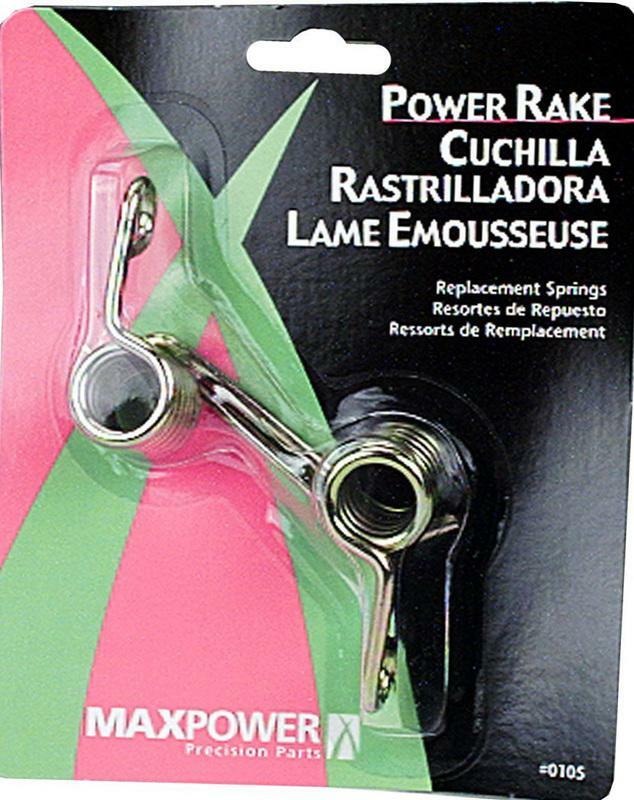 It comes with a Pin Type Universal Tubular Steel Hitch for Compatibility with most riding mowers. Also, it has a 12 Bushel Hamper Capacity that Reduces how often you have to Stop and Dump. Built to Provide Years of Convenient Lawn Maintenance. Semi-Pneumatic, Ribbed Tread Rubber Tires Mounted on Precision Die Cast Aluminum Wheels. Tubular Steel Hitch Mounts Universally to Almost Any Lawn and Garden Tractor. Ball Bearing Rear Casters Provide Easy Mobility. Brush Height Control Sets Both Wheels Simultaneously From the Tractor Seat Position. Patented Rear-Dump Feature Allows the Operator to Back Up to a Pile and Dump Onto the Pile. Centered Pull Rope Assures Smooth Rear Dumping from Tractor Seat. Included Wind Apron Helps Keep Flying Debris in the Hamper. 12 Bushel Hamper Capacity Provides Lots of Space for Sweepings. Ideal for the Large Lawn. Recommended to Work With Mower Decks, Up to 60 Inches Wide. Overall Dim: 44" L x 43" W x 35" H.
Note: This item ships freight and is delivered pre-assembled on a pallet. 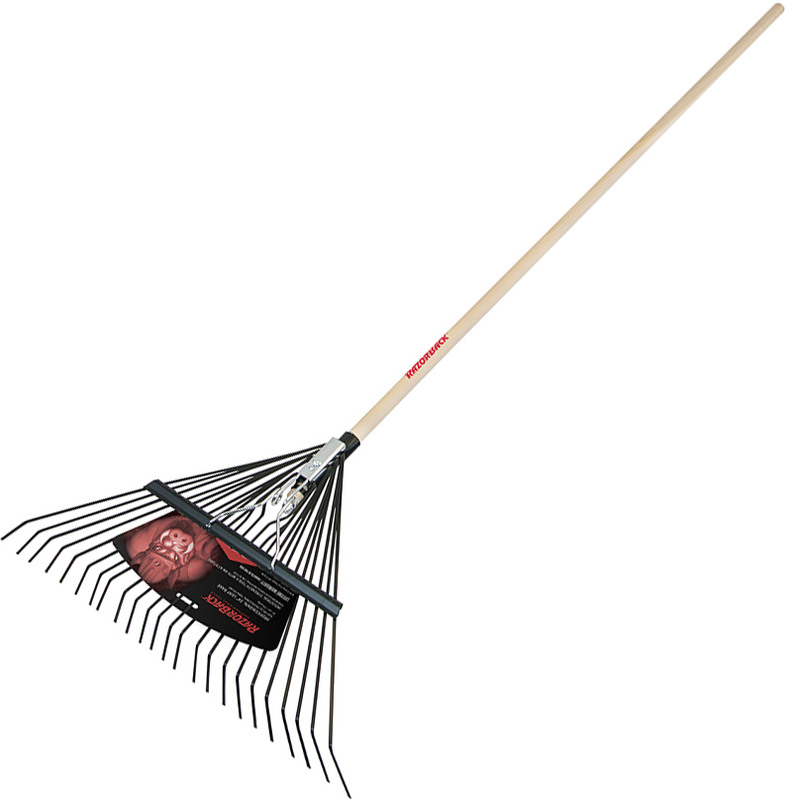 Save time this Spring Sweeping those Leaves and Twigs instead of raking! Ideal for the Large Lawn! 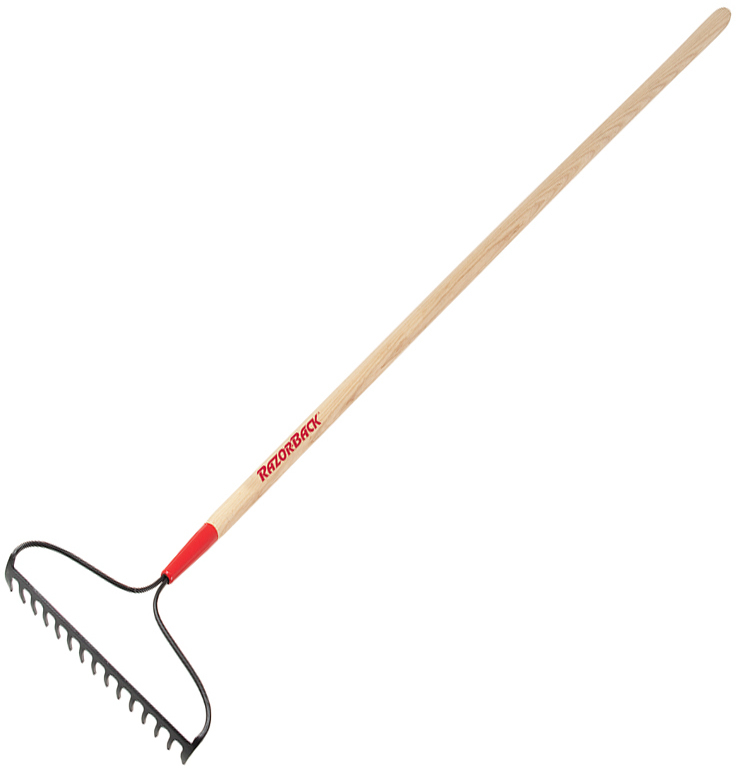 Quicker and Easier Than Traditional, Back Breaking Hand Raking. Cleans your Yard in a Fraction of the Time. Our Lawnsweeper has a Centered Pull Cord for Rear Dumping from the Tractor Seat. This unit will Pick Up Litter, Debris, Twigs, Grass, Leaves, and More. 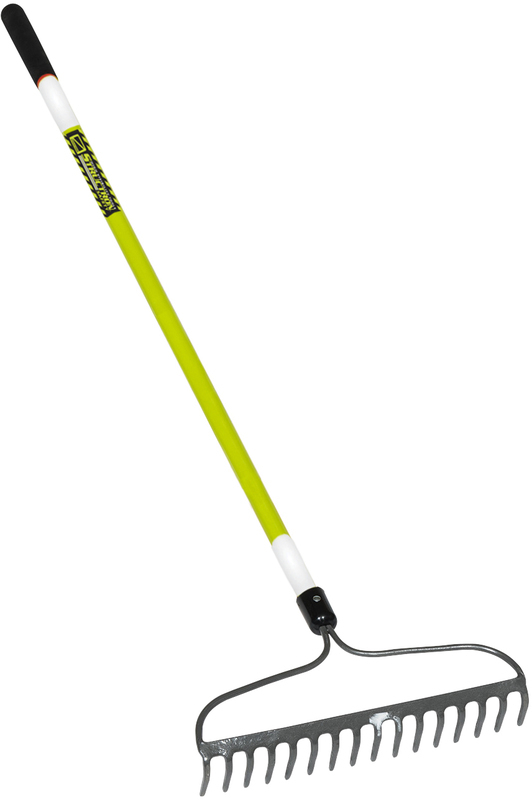 It comes with a Pin Type Universal Tubular Steel Hitch for Compatibility with most riding mowers. Also, it has a 15 Bushel Hamper Capacity that Reduces how often you have to Stop and Dump. Built to Provide Years of Convenient Lawn Maintenance. 15 Bushel Hamper Capacity Provides Lots of Space for Sweepings. 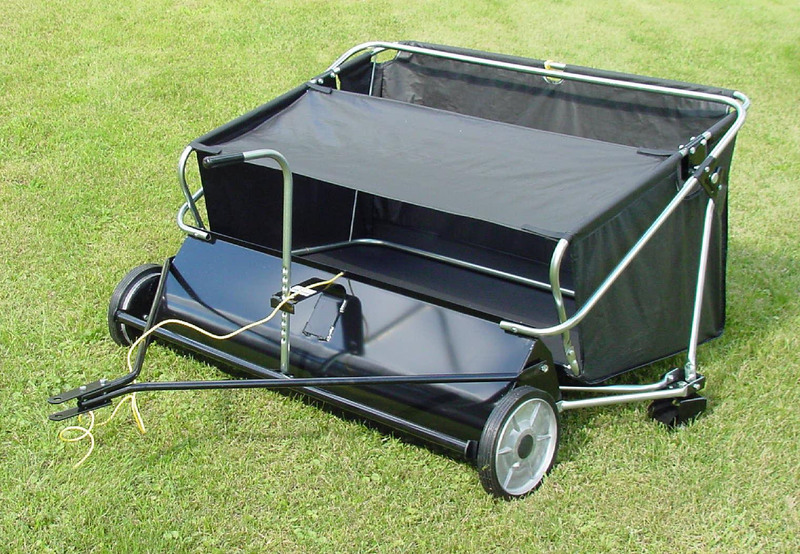 Recommended to Work With Mower Decks, Up to 72 Inches Wide. Overall Dim: 44" L x 50" W x 35" H.
STRUCTRON SAFETY FIBERGLASS HANDLE BOW RAKE 60" fiberglass handle bow rake 16" forged steel head with 16 tines Pro Grip comfort grip Structron Safety line increases worker - visibility & safety during day & night time Safety Green color plus 3M 983 tape accents of- highly retro-reflective micro-prismatic marking Meets Safety Standard 108 & DOT-C2 certification 49754 60 IN. 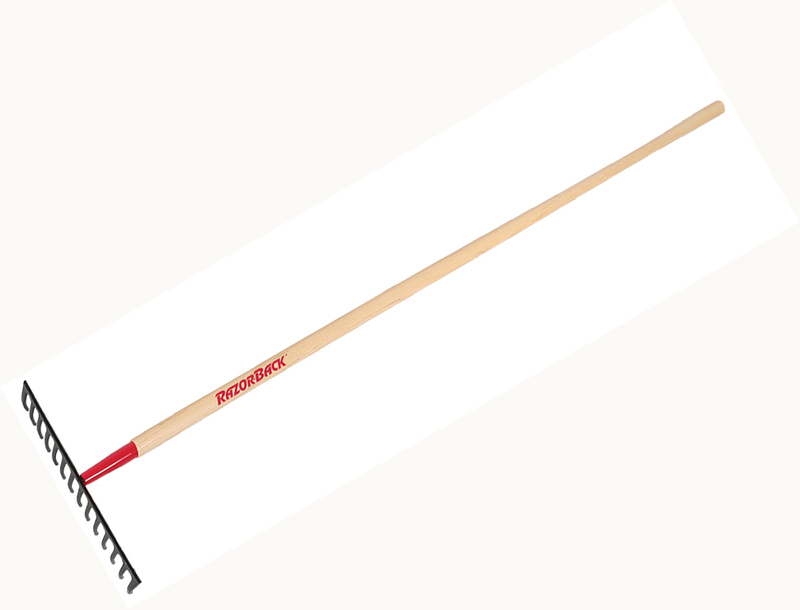 FBGL HDLE BOW RAKE SIZE:16" x 60"
UNION 20" POLY / STEEL LAWN & LEAF RAKE Union Tools brand classic steel tine leaf rake Poly-steel head is ideal for thatching and - removing lawn clippings & other garden debris Head connects to 48" hardwood handle Dimensions: 20.325"W x 64.625" H 64025 20 IN. 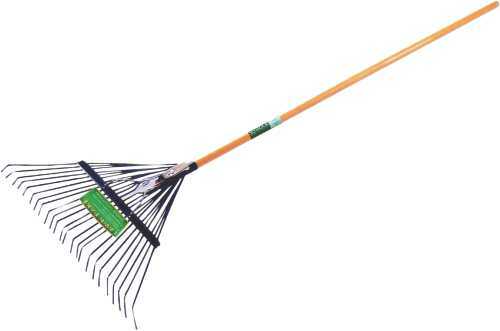 POLY STEEL LEAF RAKE SIZE:20"
30" POLY LEAF RAKE Union Tools brand 30" polypropylene leaf rake Collects leaves, grass clippings, twigs, - pine needles and acorns Poly tines resist cracking while retaining shape Lightweight materials minimize fatigue Ribbed construction provides rigidity & strength Attached to 48" North American hardwood handle 64169 30 IN. 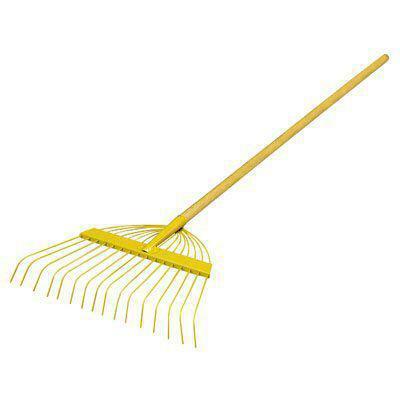 POLY LEAF RAKE SIZE:30"